Acquired Book By: I am a regular tour hostess for blog tours via Historical Fiction Virtual Book Tours whereupon I am thankful to have been able to host such a diverse breadth of stories, authors and wonderful guest features since I became a hostess! I received a complimentary copy of “Mistress of Legend” direct from the author Nicole Evelina in exchange for an honest review. I did not receive compensation for my opinions or thoughts shared herein. Evelina has taken us into the heart of Guinevere and her girlhood peers, as we walk inside those hours she spent on Avalon honing her talent and learning about the world from a point of view not concurrent to her parents or ancestral home. Evelina re-develops the image of Guinevere and the back-story therein, allowing us the grace to re-examine what we think we know of the characters being brought back to life inside this trilogy. It’s a curious undertaking, because although it’s rooted in a canonical history of literature, mythos and lore; there is a new attempt at re-developing a story whose depths are grounded by the character’s will of heart and spirit of passage through their growing years. The complexity and the authentic voice inter-combine to bring a scope of realism to Guinevere and to the back-story of her life. It’s a wholly original complex origin story where even if you are as under-read as I am about Camelot and Arthurian Legend, you can curl inside this novel due to how well-told Evelina evoked it’s heart out of the pages she lent us to read! Mythology, fable and lore can feel disconnected at times to an actuary world if the conception of their perimeters are not fully fleshed out and brought to such a high level of vision by their writers. This is where Nicole Evelina excels as her vision of the story is portrayed in such a convicting manner as to etch your heart directly into the lifeblood of her characters; you feel everything they are sensing and appreciate the direct connection in order to best understand their world. Definitely a harbinger of emotionally writ historical fiction centred on known persons who have inspired many but of whom feel more three dimensional inside this story as they are presented with equal fragility as their contemporary peerage. The research Evelina put into this work of a trilogy is evidenced by how she chose to tell the story, first through direct sight of Guinevere approaching hard choices and managing her emotions in the thick of it and secondly, through enlivening the background with such scope of depth as to embrace the mystical and mythology of how Camelot exists. She even kept the continuity alive by bringing together the origins of those who call Avalon home with their familial heritages and beliefs; such as I celebrated in seeing Guinevere’s Rhiannon and Lugh arriving in time for her ascension to Priestess of Avalon. The fundamentals of religion and ancestry are inter-woven to the core of who Guinevere is and what she stood for thereby granting the reader a more grounded vision of the woman Guinevere became latter in life. Legend says Guinevere spent her final days in penance in a convent, but that is far from the truth. Having escaped death at the stake, Guinevere longs to live a peaceful life in Brittany with Lancelot, but the threat of Arthur’s wrath quickly separates the lovers. Guinevere finds herself back in Camelot, but it is not the peaceful capital she once knew; the loyalty of the people is divided over Arthur’s role in her death sentence. When war draws Arthur away from Britain, Mordred is named acting king. With Morgan at his side and a Saxon in his bed, Mordred’s thirst for power becomes his undoing and the cause of Guinevere’s greatest heartache. In the wake of the deadly battle that leaves the country in civil war, Guinevere’s power as the former queen is sought by everyone who seeks to ascend the throne. Heartbroken and refusing to take sides in the conflict, she flees north to her mother’s Votadini homeland, where she is at long last reunited with Lancelot. The quiet life she desires is just beginning when warring tribal factions once again thrust her into an unexpected position of power. Now charged with ending an invasion that could bring an end to the Votadini tribe and put the whole island in the hands of the Saxons, Guinevere must draw upon decades of experience to try to save the people she loves and is sworn to protect. Priestess. Queen. Warrior. Experience the world of King Arthur through Guinevere’s eyes as she matures from a young priestess who never dreamed of becoming queen to the stalwart defender of a nation and a mistress whose sin would go down in history. Throughout it all, Guinevere she faces threats from both foreign powers and within her own court that lead her to place her very life on the line to protect the dream of Camelot and save her people. This compendium of Nicole Evelina’s two-time Book of the Year award-winning trilogy – Daughter of Destiny, Camelot’s Queen, and Mistress of Legend – gives fresh life to an age-old tale by adding historical context and emotional depth. Spanning more than three decades, it presents Guinevere as an equal to the famous men she is remembered for loving, while providing context for her controversial decisions and visiting little-known aspects of her life before and after her marriage to King Arthur. Nicole Evelina is an award-winning historical fiction and romantic comedy writer. Her current novel, Been Searching for You, a romantic comedy, won the 2015 Romance Writers of America (RWA) Great Expectations and Golden Rose contests. She also writes historical fiction. Her debut novel, Daughter of Destiny, the first book of an Arthurian legend trilogy that tells Guinevere’s life story from her point of view, took first place in the legend/legacy category of the 2015 Chatelaine Awards for Women’s Fiction/Romance, and was short-listed for the Chaucer Award for Historical Fiction. Later this year (2016), she will release Madame Presidentess (July 25), a historical novel about Victoria Woodhull, America's first female Presidential candidate, which was the first place winner in the Women’s US History category of the 2015 Chaucer Awards for Historical Fiction. Nicole is a member of and book reviewer for the The Historical Novel Society, and Sirens (a group supporting female fantasy authors), as well as a member of the Historical Writers of America, Women’s Fiction Writers Association, Romance Writers of America, the St. Louis Writer’s Guild, Women Writing the West, Broad Universe (promoting women in fantasy, science fiction and horror), Alliance of Independent Authors and the Independent Book Publishers Association. Author biography was updated July 2016. #SaturdaysAreBookish | Book Review featuring @SatBookChat’s 17th November Guest Author | “Stay” by Jennifer Silverwood part of my #Mythothon readings! 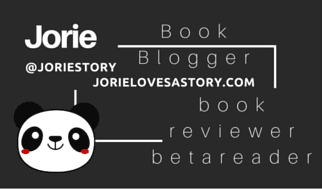 In keeping with the change of name for my Romance & Women’s Fiction Twitter chat [@SatBookChat previously known as @ChocLitSaturday] – I am announcing a change of features here on Jorie Loves A Story. Since January, 2014 I carved out a niche of focus which I named #ChocLitSaturdays as I have felt the best time to read romantic and dramatic stories are the weekends. This spun into a Twitter chat featuring the authors of ChocLit whilst I supplied weekly topics which would appeal to readers, writers and book bloggers alike. We grew into our own Saturday tribe of chatters – then, somewhere round the time of my father’s stroke in late  and the forthcoming year of  I started to feel less inspired to host the chat. I had new plans to re-invent the chat in its new incantation as @SatBookChat but I also wanted to re-invent the complimentary showcases on my blog which would reflect the diversity of stories, authors and publishers I would be featuring on the chat itself. As at the root and heart of #ChocLitSaturday the chat were the stories I was reading which complimented the conversations. After a difficult year for [personal health & wellness] this 2018, I am beginning anew this Autumn – selecting the stories to resume where I left off featuring the Romance & Women’s Fiction authors I am discovering to read whilst highlighting a story by the author I am chatting with during #SatBookChat. Every Saturday will feature a different author who writes either Romance or Women’s Fiction – for the remaining weeks of October and most of November, I will be featuring special guest authors during #SatBookChat whose stories I have either read, are reading or hope to read in the future if their newer releases. The reviews on Saturdays might inspire the topics in the forthcoming chats or they might be directly connected to the current guest author. Our holiday break for the month of December will find us resuming #SatBookChat the week after New Year’s, 2019 where new guests and new stories will lay down the foundation of inspiring the topics, the conversations and the bookish recommendations towards promoting Romance & Women’s Fiction. 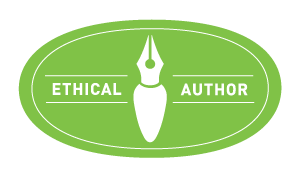 I started hosting with Prism Book Tours at the end of , having noticed the badge on Tressa’s blog (Wishful Endings) whilst I was visiting as we would partake in the same blog tours and/or book blogosphere memes. I had to put the memes on hold for several months (until I started to resume them (with Top Ten Tuesday) in January 2018). When I enquiried about hosting for Prism, I found I liked the niche of authors and stories they were featuring regularly. I am unsure how many books I’ll review for them as most are offered digitally rather than in print but this happily marks one of the blog tours where I could receive a print book for review purposes. Oft-times you’ll find Prism Book Tours alighting on my blog through the series of guest features and spotlights with notes I’ll be hosting on behalf of their authors. This particular review is slightly different from my regular blog tours and hosting features for Prism Book Tours – as an opportunity came along this Autumn to secure a spot on a ‘review tour’ rather than a ‘blog tour’ for the debut novel by Jennifer Silverwood entitled: Stay. Although she’s published different series and stories after this publication from 2013, I welcomed the chance to get to know her writing style from the moment it began being published. This differs as each of the reviewers and book bloggers who are committing to this review tour are posting at different intervals before the final deadline for the review tour concludes. In my case, this also included being able to anchour this review with my @SatBookChat showcase for the novel and the book discussion which came out of it. I received a complimentary copy of “Stay” by the author Jennifer Silverwood in exchange for an honest review. I did not receive compensation for my opinions or thoughts shared herein. When I first discovered Silver Hollow, it was the genre-bending styling of the author which implored me the most to read the story. At the time, Silver Hollow was being re-released and the only version currently available back then in print was the older version. Sadly, despite my efforts to secure that copy by inter-library loan had failed. It still remains a story I want to read one day, however, what was interesting about moving inside Stay was finding the natural nuanced styling of a writer who takes cues straight out of the Mythological past! As I hinted at during @SatBookChat today, there are moments within reading Stay where I could almost feel the presence of Poseidon and Zeus; except, I wasn’t naming them in my mind. There are enough elements of connection within the story itself to draw you closer towards naming them outright but it was the illusion of connection to these two which I appreciated even more because it deepened the suspense and the mythological proportions! If it could be them, what if it wasn’t? What if there are others out there who can behave and manipulate the elements just as cheekily and get away with it? This bridge between the fantastical and the mythological is what made me keenly curious about Silverwood’s writing style. I wanted to see how she used the bridge itself, as generally speaking I do have a penchant for Urban Fantasy nowadays but each writer I read within that branch of literature has their own unique spin on how to make ‘modern’ settings warmly conducive to Fantasy realms. Finding myself dearly enchanted by how she brokered a story out of the roots of Greek Mythos is only the tip of the iceberg I feel I shall be finding within her collective works! The joy of reading Stay and discussing it was finding out the sequel is arriving in 2019! Rona believes love is nothing more than a myth, a tale for little girls. Until the immortal ruler of the seas appears from thin air and she is swept into a dark and dangerous affair, turning myth into a grave reality. Commanded to work as the savior of true love, Rona realises that love is just an illusion as grandoise as magic and after two thousand years, she is ready to give up. Until the night a human, deep in the underbelly f the city that never sleeps sees her. She recognises him instantly, a lost love. Trouble is, he has no memory of her. Tasked with mending a relationship between the love she lost thousands of years ago and another woman, Rona will have to learn what it means to be human all over agai when past and present collide. Can love transcend time or will Rona be forced to roam earth alone, forever?